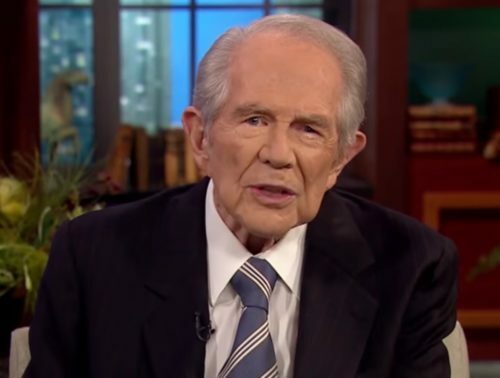 Speaking on the conservative Christian program The 700 Club, televangelist Pat Robertson implied that retired Supreme Court Justice David Souter is gay, although he wasn’t sure if Souter is still alive. Robertson was talking about his disappointment with the George H. W. Bush nominee to the Supreme Court, who he said had no record to show his political leaning in 1990. Souter, 78, never married, although he was engaged once to a woman. There were rumors at the time of his confirmation that he was gay. For example, the Orlando Sentinel in 1990 asked why he never married, raising the possibility of him being gay. “We wonder, ‘What’s wrong with him? How does he feel about women? Is he anti-social, homosexual, misogynistic, immature or just plain dweeby? '” the Sentinel reported. Robertson, who remembers rumors about Souter’s sexuality from almost 30 years ago, doesn’t remember that Souter retired less than a decade ago. “I don’t know whether he retired or died or what happened to him, but he’s no longer on the bench,” Robertson said. Souter retired in 2009 and was succeeded by Sonia Sotomayor.